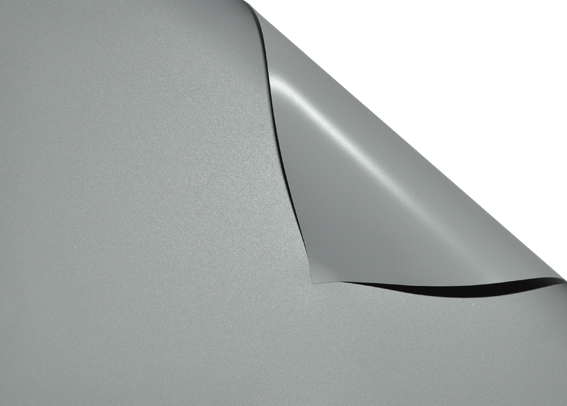 LUMI-GREY cloth is a grey PVC material with grey rear side, studied to be used for front projection. 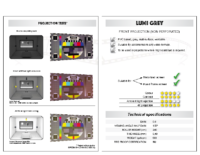 High contrast and chromatic performance make Lumi-Grey an excellent medium for superb Home Theatre projections. In order to obtain the best performance from Lumi-Grey cloth, it is advisable to use, at least, a 1200 Ansi Lumen projector within a room with no sunlight interference. 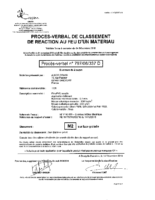 Compact Home Cinema, Major Home Cinema, Compact Tensioned, Major Tensioned, Double Format, Double Format Tensioned, Flat Elastic, Flat Elastic Velvet Curved, Modigliani, Modigliani Velvet, Tiziano Home Cinema, Tiziano Tensioned, Raffaello Home Cinema, Raffaello Tensioned, Giotto Home Cinema, Giotto Tensioned, Canaletto Elastic, Canaletto Wrap Around, Arc Wrap Around.